Agia Marina Hotels. 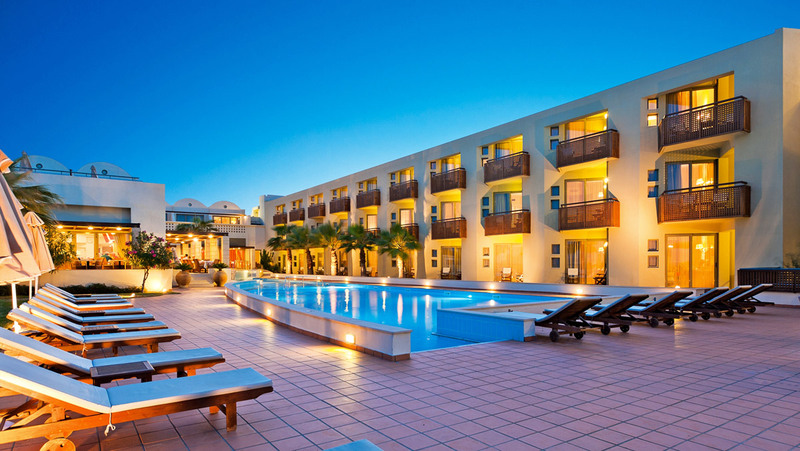 Great deals on hotels in Agia Marina Crete, Cheap discounted rates for Hotels and hotel apartments in Kreta. 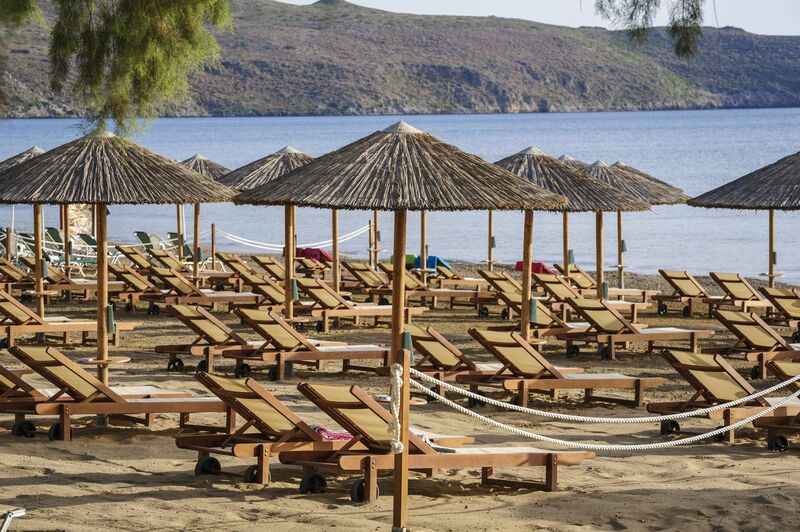 Welcome to Chania and to Amalthia Beach Resort, on the beach of Agia Marina. Whether you are looking for a quality family vacation, or a couple’s’ romantic getaway, combining privacy with the cosmopolitan city of Chania, Amalthia Beach Resort comprises the ideal accommodation choice, on both counts! 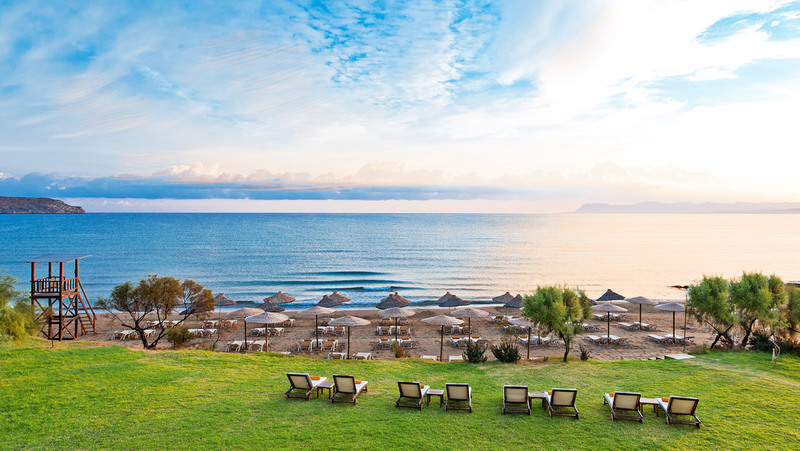 Our inviting resort complex lies directly in front of the blue flag beach, while all of our facilities have been recently refurbished, thus providing the setting for an unforgettable Cretan holiday. 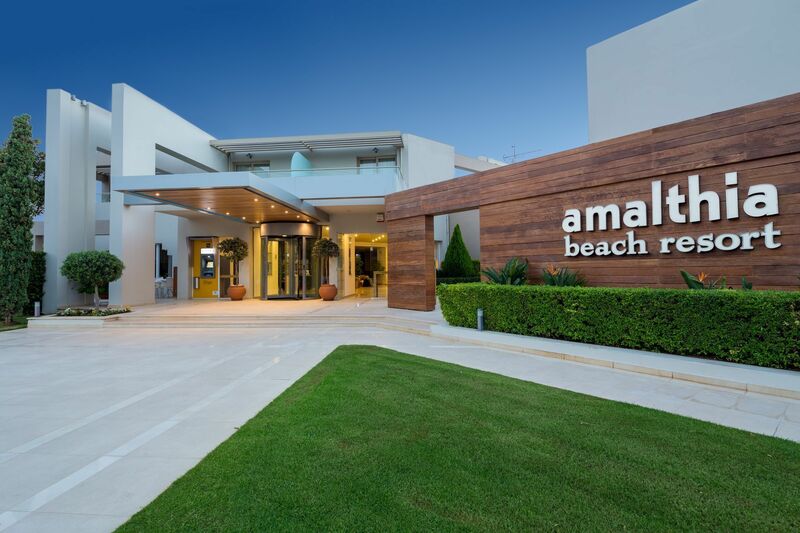 Amalthia Beach Resort is characterised by attention to detail throughout, and friendly, professional service that will make you feel like you’re home, away from home. Our spacious suites and their wonderful verandas will accommodate your lovely moments here, offering views to the sea or onto our verdant gardens. Surrender to the soothing properties of our Spa, or kick-start your metabolism with a session at the Gym to recharge before seizing the day. Enjoy the Greek sun and even swim towards the close-by islet of “Thodorou”, home to the traditional Cretan Kri-Kri goats, among the crystal clear waters of the awarded Agia Marina beach. In the evening, when the lights go down, feel free to explore authentic and quality international, Greek and Cretan flavours at our beachside restaurant or unwind by our pool bar, savouring the delicious and freshly prepared refreshments and light meals served. At Amalthia Beach Resort, everything falls in place to provide special moments with your loved ones that will be cherished for a lifetime. Welcome to our world and welcome to Crete! 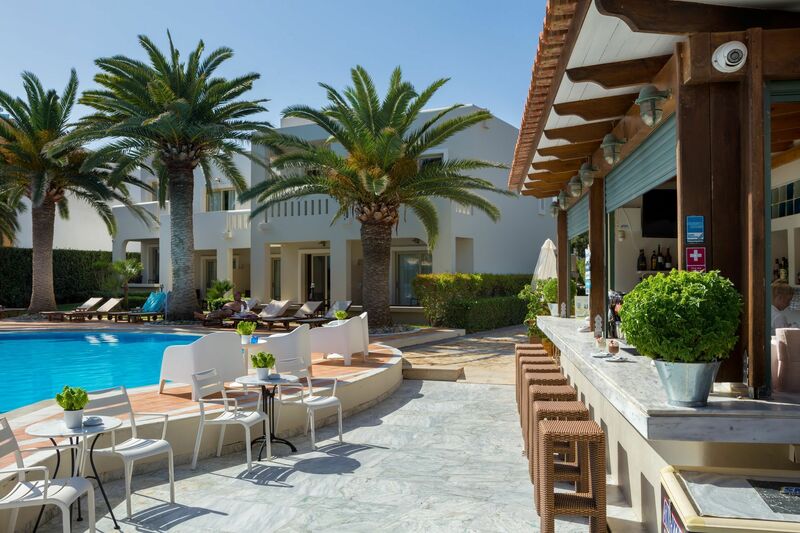 Santa Marina Plaza is a couples/adults only Luxury Boutique Hotel set on the long, sandy and sun-blessed beach of Agia Marina village just 8 km from Chania city centre. The hotel provides a totally serene environment designed to pamper body, soul and spirit in luxurious surroundings with impeccable service throughout the day and long into the night. It presents to its guests a calming tone, focusing on these people who wish to relax in a peaceful child-free environment. The hotel’s commitment to tranquility means that children under 16 years of age are not allowed to stay in, during its seasonal operation.Couples, Singles and Honeymooners are welcome to enjoy and experience the relaxing ambience which will release them into their vacation. This 3 storey building on the sea front, houses a total of 51 accommodation units comprised of 49 luxurious rooms and 2 Junior Suites. Other facilities include a main (buffet) restaurant, Azzuro A’ la Carte restaurant operating day and night, main bar, pool bar, fitness room, Jacuzzi room and conference room; all of which embrace the large swimming pool which is just steps from the sandy beach of Aghia Marina village. beautifully designed, finely decorated with modern quality touches, natural refreshing colors and fine furnishings. They are all offering an incredible sense of privacy. Our guests are more than welcome to settle down on a romantic atmosphere and enjoy an outdoor massage under gazebos, a refreshing swim in the outdoor pool, a candelit dinner during the beautiful sunset over the Cretan Sea, same time realising the feeling of Santa Marina Plaza Luxury Boutique Hotel which is captured with candles and soft music. At Santa Marina Plaza Luxury Boutique Hotel, the staff is always focusing on the principles of hospitality, discreetness and professionalism ensuring that the guests have all they need and even more for a comfortable and most enjoyable stay while being at a great cosmopolitan location in the west part of Crete. Santa Marina Plaza Luxury Boutique Hotel is part of the Giannoulis Hotels and Resorts boutique chain.